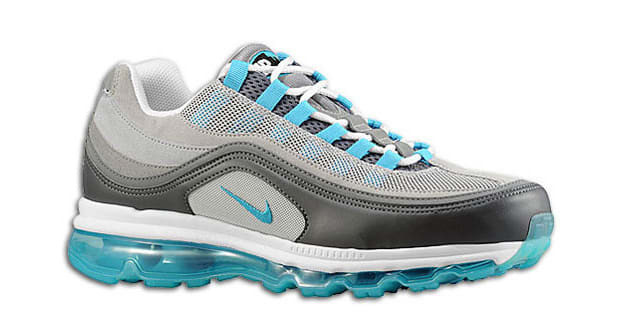 Nike Air Max 24-7 Metallic "Silver/Chlorine Blue"
Every hue of blue has hit us over the past few months and Chlorine Blue has been way turnt up in the mix. The fade-to-grey upper of the Air Max 24-7 takes a page from the Nike Air Max 95 while the Chlorine Blue Air Max sole can be seen all the way across the swimming pool. Chlorine Blue also can be seen accenting the lace loops as well as the Air Max logo and the Swoosh on the side. Pick these up at Eastbay now for $160.